Precious blue pigment preserved in the dental plaque of an 11th-century woman has revealed the earliest evidence that medieval women may have been the artists behind some of Europe’s most richly illustrated books. As rare and expensive as gold in medieval Europe, scientists discovered the pigment trapped in the teeth of a female skeleton buried within the grounds of a monastery, which was once home to a community of nuns, but now stands in ruins at Dalheim in Germany. The discovery, made by researchers from the University of York and the Max Planck Institute for the Science of Human History, adds to a growing body of evidence that nuns in medieval Europe were not only literate, but also involved in the production of books. Inspection of the women’s teeth revealed more than 100 particles of deep blue colour, encased within fragments of her dental calculus. 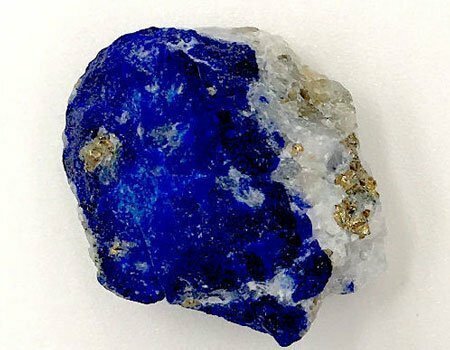 Ultramarine pigment is made from the precious stone lapis lazuli, which was only mined in Afghanistan in the medieval period. The pigment was used in paintings and to decorate illustrations in luxury books of the highest quality. Only the most skilled scribes and painters would have been entrusted with its use. The researchers suggest that the pigments may have gotten into the woman’s mouth as she repeatedly licked her brush into a fine point in order to paint intricate detail on manuscripts—a technique referred to in contemporary artist manuals. The findings challenge widespread assumptions that monks were the primary producers of books throughout the Middle Ages.